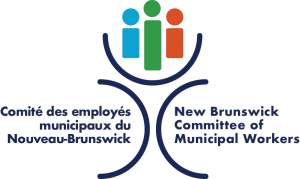 FREDERICTON – Legislation has been passed that will extend collective bargaining rights to casual government employees, Human Resources Minister Rick Brewer announced today. Amendments to the Public Service Labour Relations Act repealed a section that had excluded casual employees from collective bargaining until they had worked for at least six months. Employees will now be part of a union from the first day of employment. terms and conditions of employment for casual employees with each union. “The number of casual employees varies by season and fluctuates between 7,000 and 9,000 people throughout all government operations. We are pleased with Premier Graham following through with his commitment that he gave prior to being elected premier to amend legislation so that casual employees would have the right to the collective bargaining process,” Légère added. In June 2009, Justice Paulette Garnett ruled that the definition of employee in the Public Service Labour Relations Actviolated the Charter of Rights and Freedoms by excluding casual workers from collective bargaining. The province chose not to appeal the decision and was given 12 months to amend the legislation.